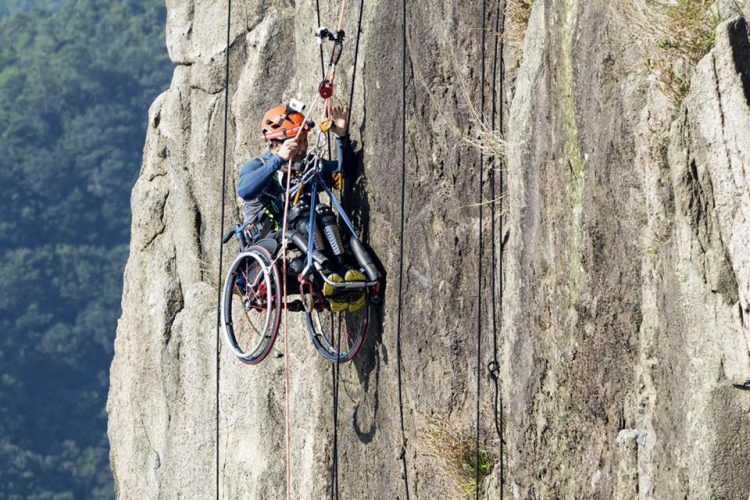 On December 9th, 2011, champion rock-climber Lai Chi-wai suffered a motorcycle accident that left him paralyzed from the waist down. On the same day, five years later, he climbed Hong Kong’s iconic Lion Rock once again, this time in a wheelchair. 33-year-old Lai Chi-wai is a four-time winner of the Asian Rock Climbing Championships, but on a faithful day, five years ago, his promising athletic career seemed to be over, following a devastating motorcycle accident. “When I woke up, I was already in the hospital and had been operated on. The staff told me … I was paralyzed from the waist down and would be in a wheelchair for the rest of my life,” the young rock climber recalls. For his family and friends, the tragic outcome of the accident meant that he could no longer do the one thing that truly gave him a feeling of fulfillment – climbing heights. But despite losing the use of his legs, Lai Chi-wai wasn’t ready to give up on his passion. After recovering from the accident, he took up wheelchair boxing, a relatively new sport that he claims improves mental focus and physical fitness of paraplegics and increases their confidence, but he also continued to train with his old mountain climber friends. 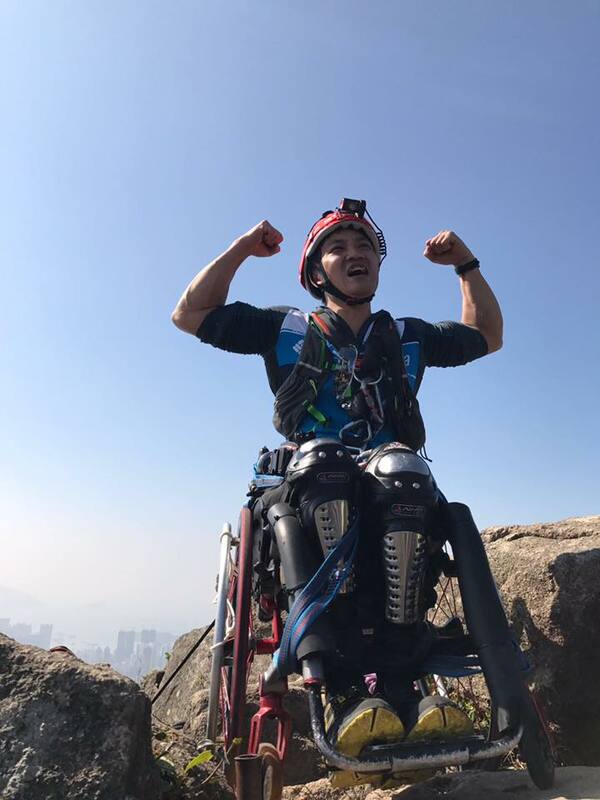 The birth of his son inspired Lai Chi-wai to pursue his passion even more, and in 2014, he vowed to climb Lion Rock once again, this time in a wheel chair. The announcement caused concern among his friends, because something like that had never been done before. 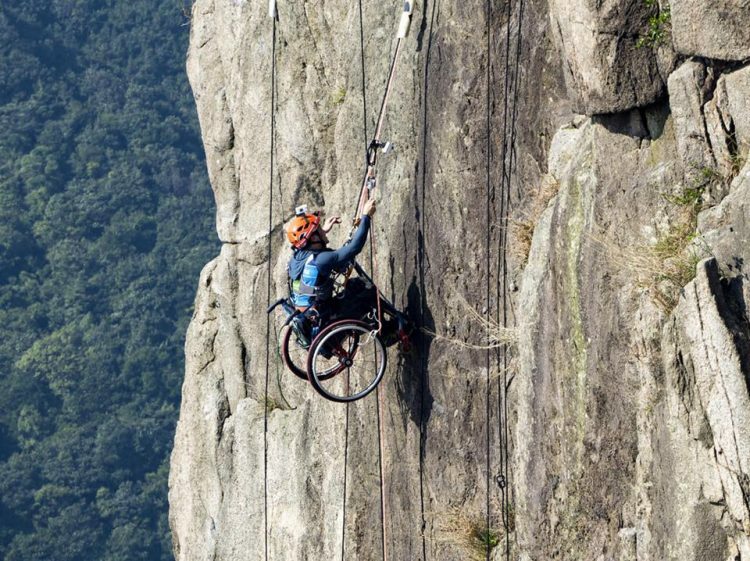 But they all agreed that if someone could scale the 495-meter-high mountain in a wheelchair, it would have to be him. People took to social media to express their admiration for Lai Chi-wai’s achievement, with many saying that he symbolizes Hong Kong’s can-do spirit in the face of adversity, but he also earned the praise of rock climbing experts. A rock climbing coach told Sky Post that he never imagined someone bound in a wheelchair could ever make it all the way to the top of Lion Rock, due to its high degree of difficulty. According to him, the mountain is so tough to climb that even a professional would need a lot of training and at least four hours to reach the peak. Lai Chi-wai needed to do it in his wheelchair and using special equipment. The guy at Coconuts Hong Kong saw an old news report on Lai Chi-wai in which his second grade teacher said this about him: “What does rock climbing teach you about confronting hardship? Do you give up, or do you continue? My impression of Chi-wai is that he has unswerving determination. Once he’s set a goal, nothing can stop him from persevering until he succeeds. No matter how tough the challenge is, he doesn’t give up.” How right he was!